The new V&A Photography Centre, designed by David Kohn Architects (DKA), has opened, more than doubling the space to display photography at the museum. DKA’s sensitive refurbishment of several historic galleries aims to change the way photography is presented while taking the discipline back to its architectural roots. The practice was appointed to design the V&A Photography Centre in 2016 following an invited design competition. The project is the practice’s largest museum project to date, and forms part of the V&A’s ambitious FuturePlan development programme to revitalise the museum’s public spaces through contemporary design and the restoration of original features. DKA’s design celebrates the grandeur of three galleries in a listed building, reconfiguring the space through a series of subtle interventions to create a contemporary display setting. The visitor experience begins on the entrance landing, where two large cases display 140 cameras. Inside, the room arrangement encourages visitors to circulate around displays presenting a full spectrum of objects, from negatives and photographs to cameras, archive materials and photographers’ personal belongings. London-based architecture practice Tonkin Liu is taking its expertise beyond architecture with the invention of an innovative new medical device. 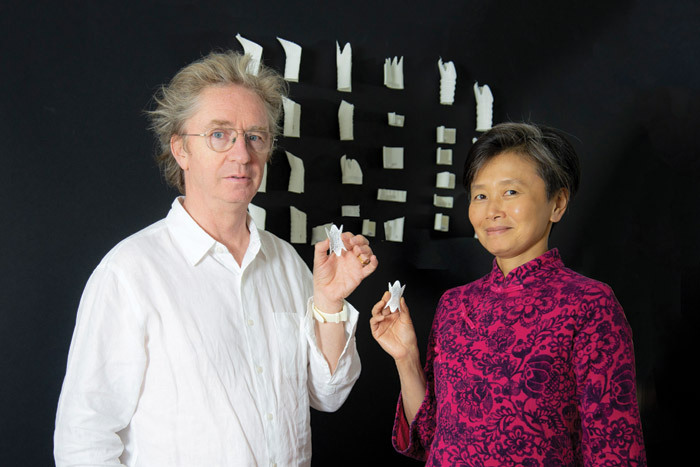 The practice, founded by partners Anna Liu and Mike Tonkin, has created a prototype stent for use in the trachea (windpipe). The stent is a new type of Shell Lace Structure – the practice’s signature single-surface structural technology that has been designed and developed through a decade of research. Previously only used in architectural and engineering applications, the architects have taken their inspiration from the natural world to design a stent that presents a solution to common problems experienced by trachea transplant patients with typical tubular mesh stents – such as slippage, injuries and infection. Clinching a top award at this year’s Decorex International fair was the London Collection by Bert Frank, shown by Decca Homes. Winning the FX Contemporary Award, the collection of upholstered seating, case goods and occasional furniture crafted from a broad spectrum of materials, was designed by awardwinning luxury lighting designer Robbie Llewellyn for his company Bert Frank. Selecting the London Collection to receive the annually made award was residential interior designer Sarah Ross, of Sarah Ross Design. She said of the London Collection: ‘The pieces really caught my eye. They were striking and contemporary yet would fit in with almost any interior.’ Sarah Ross Design is a London-based interior design agency, providing clients with a comprehensive interior design service from complete structural remodelling to interior design and decoration. Decorex has been running since 1978. Each year renowned interior designers, artists and creative minds gather at the show, where fledgling creatives and well-established brands alike exhibit their products, offering a diverse perspective representing the finest interior design. Decorex 2019 will be held 6-9 October at London’s Olympia venue. 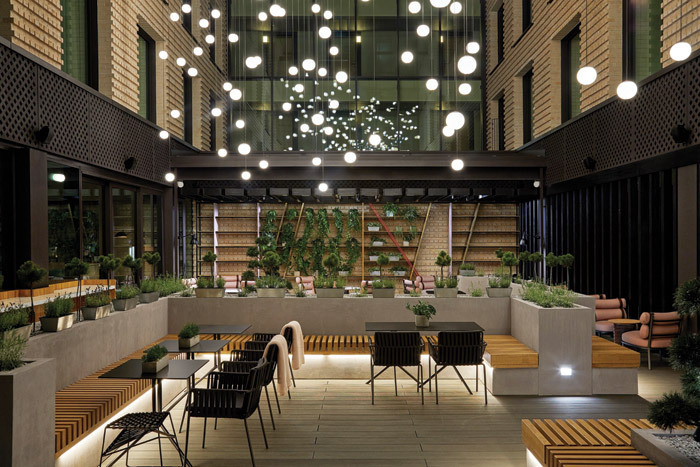 A new flagship hotel with interior design by Conran and Partners for Polish hotel group, PURO, has opened in Kraków. The 228-room hotel – on a corner site in the city’s former Jewish quarter – provides a destination and curated experiences for local residents as much as for tourist and business guests. Conran and Partners’ design concept for the Kraków Kazimierz Hotel is ‘Bohemian Modern’. This approach represents a fusion between the energy, history, authenticity and art culture of the location (‘Bohemian’) and the dynamic, progressive brand principles of PURO, demonstrating the brand’s passion for contemporary art, design-led furniture and forward-looking hospitality (‘Modern’). This conceptual narrative has provided a rich source of inspiration firmly grounded in its location. 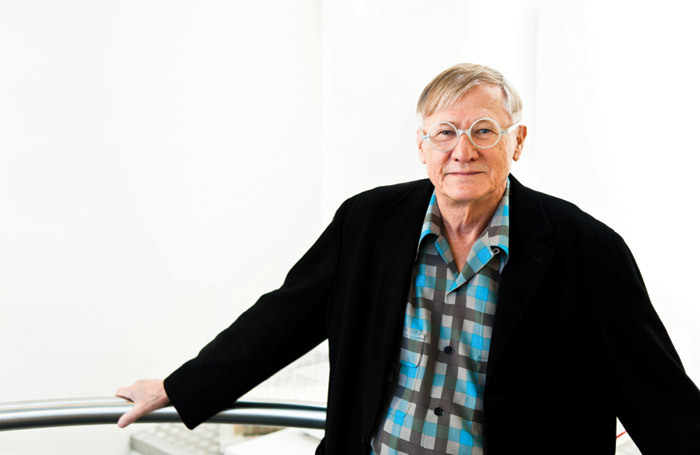 Sir Nicholas Grimshaw is to receive the 2019 Royal Gold Medal, the UK’s highest honour for architecture, awarded by the Royal Institute of British Architects (RIBA). Given in recognition of a lifetime’s work, the Royal Gold Medal is approved personally by the Queen and is given to a person or group of people who have had a significant influence ‘either directly or indirectly on the advancement of architecture’. Past recipients have included Neave Brown (2018), Zaha Hadid (2016), Frank Gehry (2000), Norman Foster (1983), Frank Lloyd Wright (1941) and Sir George Gilbert Scott (1859). Announcing the award, RIBA President Ben Derbyshire said: ‘For more than half a century, Sir Nicholas’s influence has been exceptional. 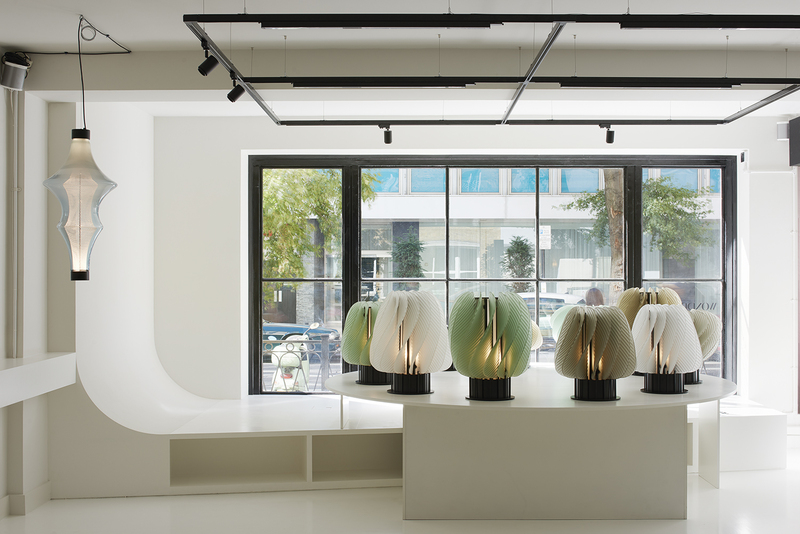 Specialist glass and lighting company WonderGlass has just opened its new showroom and gallery space in the Fitzrovia district of London – its first that is open to the public. Designed by architect Massimo De Conti the space is inspired by the galleries of Lower Manhattan mixed with the buzz of London’s Fitzrovia, as well as reflecting the essence of the WonderGlass DNA. Currently on show in the space are works by Ronan & Erwan Bouroullec, Nao Tamura, Hideki Yoshimoto and Dan Yeffet, as well as glass compositions and unique prototypes showcasing the skills of the WonderLab workshops in the Venetian region. Bathroom brand VitrA Bathrooms is presenting its latest designer collaboration alongside some of its most iconic designs at Europe’s prominent hotel design event Sleep + Eat at London’s Olympia 20-21 November. It will introduce new additions to its emblematic Istanbul collection conceived by designer Ross Lovegrove, influenced by the cultural and architectural diversity of the city. It’s quite unique for an office to feature plush carpeting, and the small team that works with it says it makes it a very comfortable and tranquil space to work in. But then the project by Deirdre Dyson was for the Dyson Family Office, in an 18th- century Georgian house was repurposed by Alexander Martin Architects to provide a private office in Mayfair for the Dyson family. The material palette of natural oak, stone and pale grey provided a backdrop for Deirdre Dyson rugs and fitted carpets, with their bold designs bringing contrast and complimentary accent colours. KI’s reputation for customerdriven product design and co-creation has played a critical role in its recent major project wins across the EMEA region. 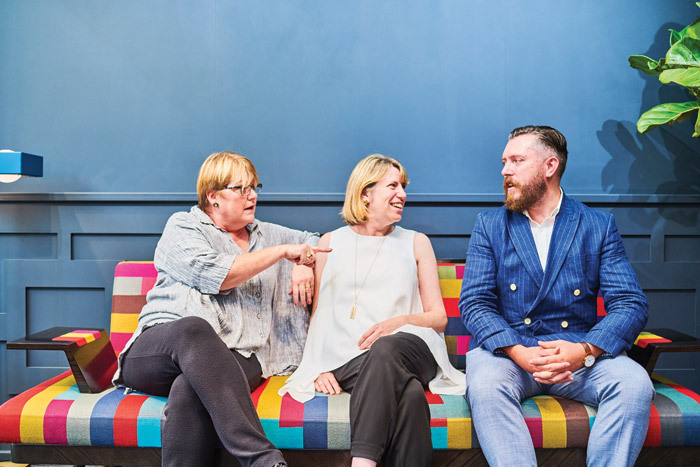 This capability has been bolstered with the recruitment of Alexander Gifford and Grace Souky to KI’s London-based design team. Working with architects, designers and specifiers, the newly expanded team will further support companies execute their workplace strategies with unique furniture solutions. Brand and customer experience agency I-AM Associates has created a new flagship store experience for mobile phone provider Turkcell in Istanbul. Having worked with Turkcell on upgrading its user interface and enhancing their online customer journey, I-AM followed with a brief to develop a new concept for the new store in the city’s Akasya shopping mall. I-AM created an experience-based store, structured as three main areas, where customers can easily interact with the products in a relaxed and friendly environment. Following an exhibition of photography curated by lighting designer Paul Nulty, an online auction was held of the exhibits, with proceeds being donated to the cancer-care charity Maggie’s Barts Centre. The idea of the event was that of lighting manufacturer Louis Poulsen. The winners of the Hidden Homeless competition – led by John McAslan with broadcaster and Patron of the New Horizon Youth Centre at King’s Cross, Jon Snow, and supported by the Mayor of London – have been announced. First, second and third prizes went to Morris + Company, RCKa, and Catja de Haas Architects. The ideas competition called for proposals for a centre that could offer temporary accommodation for London’s young homeless supported by community facilities and commercial elements, aiming to encourage imaginative, socially integrated solutions to mitigate the rising levels of homelessness. Run For The Hills is collaborating with TIVOLI, a new boutique cinema concept, merging art-house cinema and casual dining, creating a bold new format. Run for the Hills has been working with the owners to create the brand’s entire visual identity from the logo and motif, colour palettes, fonts and tone of voice. The first venue is set to launch later this year in Bath. Carl Hansen & Son has expanded its collection of Danish furniture classics with the reintroduction of the Hunting Table, CH71 lounge chair and CH72 two-seater sofa. The Hunting Table was designed by Borge Mogensen for an exhibition in 1950. The CH71 lounge chair and CH72 two-seater sofa have not been produced since the late Seventies.